Please welcome my friend, Andrea, from A Smart Shopper. Andrea is a wife and mother of three growing boys. She feeds her family of five for around $300/month. She’s been couponing for almost 5 years and loves using coupons to save money and get things free! On her blog, she shares the best grocery store and drugstore deals each week. 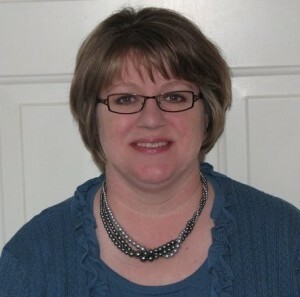 She has a sincere desire to help others spend less and make smarter shopping decisions. How much do you spend on groceries? I spend about $300/month for a family of five (with three growing boys). That includes all of our food, toiletries, and household supplies. Food prices are rising, but you can make some simple changes that will save you money! I’ve learned how to spend less on groceries without sacrificing quality or quantity. Don’t shop when you’re in a hurry! Take the time to compare the brands, sizes, and prices to find the best deal. It won’t take hours to shop, just take a few extra seconds to make smart decisions. So often I see shoppers who speed through the store grabbing items off the shelves without even looking at the price! I don’t know about you, but we work too hard for our money to throw it away on a poor purchasing decision. Here’s an example: Sometimes I find that the smaller-sized products are priced higher than the larger-sized products. Recently, at Kroger, the 14 oz. jar of Ragu was priced at $1.89. The 23.9 oz. jar was only $1.74. It really pays to take the time to compare prices when you shop! Most shoppers buy enough food for a week or two. When they’ve used up the food, they return to the store to buy more. Don’t wait until you run out of something to buy it, because you will have no choice but to pay the regular price if it’s not on sale. Buy the things you need when they are on sale. Buying at sale prices saves me thousands of dollars per year! Yes, thousands! You probably get grocery store sale papers in your mail each week. Do you pay attention to them or throw them out? Each week, I browse the sale papers and buy multiples of the things I use that are on sale. I buy enough to last until the next sale (usually 3 months). My goal is to avoid having to pay the regular price. Whittle the already-low sale price down even further by using coupons. Don’t use a coupon just because you have one! Hold onto the coupon until the item is on sale. This gives you the lowest price possible. 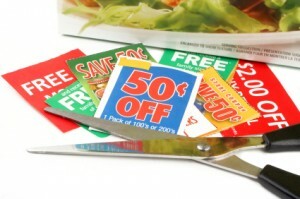 Also, look for a store that doubles or triples coupons. My favorite grocery store doubles coupons every day. A $.35 coupon is worth $.70 at their store! I’ve consistently found that I can get the name brand foods for less than the store brand if I buy them when they’re on sale and use a coupon. Look around the store for items that are on clearance. Markdown stickers are often bright yellow, bright orange, or red. Some stores even have a particular place in the store where you can find markdown items. A markdown doesn’t mean there’s something wrong with the product or it is old. Stores will reduce prices if they plan to stop selling an item, if they have an overstock of an item, or if it’s nearing its expiration date. Keep an eye out for special markdowns. When you checkout, keep your eye on the scanner because mistakes can happen! Sometimes items scan at an incorrect price. Many stores will give you the item for FREE or at a reduced price if you notice that it scanned at the wrong price. Just by being alert at the checkout, I’ve stopped so many errors from occurring. It really pays to stay focused! Following these five tips will help you lower your monthly grocery budget! 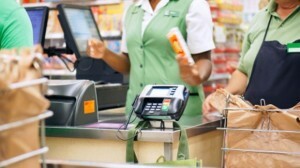 If you want to learn more about saving money at the grocery store, visit my blog: A Smart Shopper. This is great advice, thanks! The problem I have is that most of the coupons and sales are on items that my family doesn’t eat – processed, packaged, soybean, GMO-laden items that none of us should be eating. It’s almost impossible to find grass fed beef and free range chicken at the grocery store and if you could find them you certainly won’t find them on sale. Sure, I can get free or almost free boxes of cereal, Poptarts, frozen meals, potato chips, cookies, crackers, ice cream, vegetable oil, lunch meat, etc. But what if you don’t eat those things??? I don’t use coupons for that same reason, but the all of this advice is sound. I watch for manager’s specials at our Kroger. Last January, I got organic free range turkeys for pennies on the dollar. This January it was organic free range geese. Laura’s beef often goes on special. Hi Colleen, There ARE coupons for organic products. Check out http://www.CommonKindness.com and http://www.MamboSprouts.com. There are sales and coupons on organic cereals and beverages very often, as well as other organic items. I also use coupons to get all my toiletries completely FREE. I never pay for toothpaste, shampoo, toothbrushes, floss, deodorant, feminine products, etc. That saves me a ton of money!